This homily is about exploring how this message from the book the Little Prince fits today’s gospel and today’s events. Two African American men were shot by local police, this past week, one in Tulsa, Oklahoma and the other in Charlotte, North Carolina. This scene has been repeated again and again. Protests erupted in Charlotte, with anger, violence and great pain. The history of trauma is played out in the streets. We see the history of oppression and anger; the history of 250 years of slavery; the history of Jim Crow and the lynching’s of the first part of the 20th century; church bombings and the freedom riders; the bravery of Rosa Parks; the march at Selma; the pain of the assassination of Martin Luther King Jr. and the civil rights movement of the 60’s culminating in the demand for respect, recognition and equality. The Buddhist author, Thich Nhat Hanh writes about the importance of being “present.” He emphasizes the need to look deeply moment by moment. He questions when looking at a flower do we really see it’s beauty? 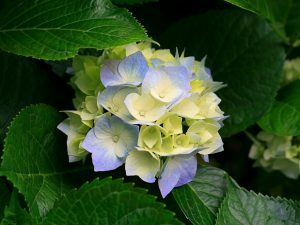 Can we distinguish one flower from the next? How open are our eyes and minds? And why is that even important? In the story of the Little Prince, the Little Prince speaks about his flower, the rose. She appears one day on his planet as a shrub and takes her time growing, blooming one morning with the sun. The little prince is enchanted by the rose’s beauty and cares for her. It is through that caring that he sees her uniqueness as he grows to love her. It is through love and compassion we can distinguish one person from the other. It is through love and compassion that we acquire eyes to really see. Each one of us is unique and different in so many ways and yet so similar. Our needs are different, our experiences, values and perceptions are different. Unless we have attitudes, beliefs and perceptions that allow us to see one another other we cannot serve one another. Only love and compassion can serve and heal. What prevented the rich man from seeing, appreciating and caring for Lazarus? Are we so put off by the disabilities or scares, warts and illness of others that we cannot see with our hearts? Are we so dedicated to the beautiful, the vigorous, the familiar and the healthy that our eyes can barely focus on something that is different? Was the wealthy man so caught up in his own wealth and comfort that he didn’t have the will to see? We can’t end deadly prejudice in all it’s sinister forms. We can’t change a person’s beliefs or perceptions. We can’t make someone see or appreciate the other, but love can. Love is what sustains us. When the roots of a tree are shallow, eventually the tree will die. The roots need to run deep. Love is what runs deep and gives life to our bones, our blood, to our lives. The trauma of Tulsa and Charlottte can be healed when we dig deep and begin to listen without assumptions; when we dig deep and tell our stories and maybe, just maybe we might be moved by each other’s story and understand that we need one another. We can’t just tolerate one another, we must understand and need one another in order to be whole. Who is teaching you? Who or what is your Lazarus?